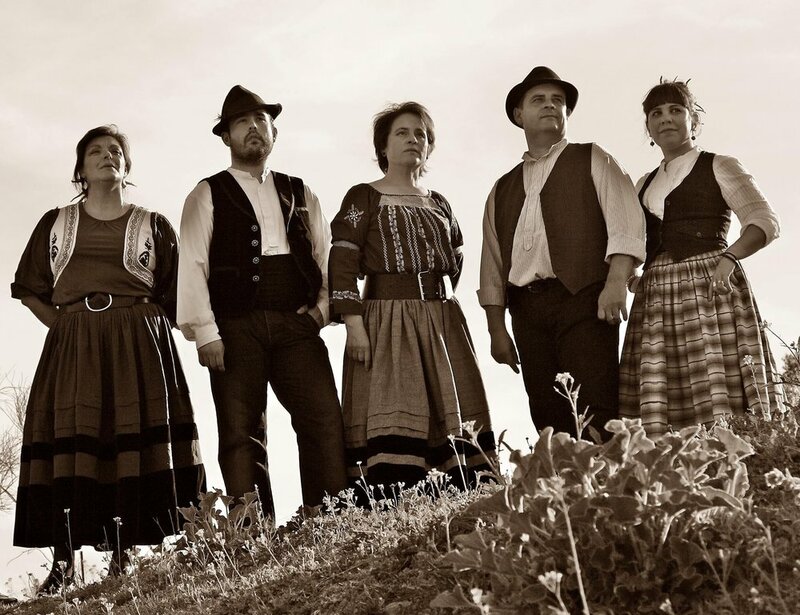 Vigüela are a Spain who take their traditional music to a global audience. Having been playing for over 30 years together, Vigüela, part family members, aim to keep alive and vivid the traditional repertoire of specific styles from their home in Castilla La Mancha. The melismatic vocals and pulsating guitar rhythms create a beautiful harmonic sway. I managed to catch up with Vigüela at WOMAD Festival 2017 before their slot on the BBC 3 Charlie Gillet Stage, and I spoke with them about their influences, their traditions and how they were finding British WOMAD. Members: Juan Antonio Torres, Mary Nieto, Carmen Torres, Luis Garcia Valera. SD: So let us know the relationships within the band, how do we know each other? Viguela: Antonio is founder of the band, he was 15 years old, so that was 35 years ago. Carmen is his sister, so she joined very very soon after he created the band, Marie is from the same village as they, she joined the band ten years go, so they know each other from all their lives, and she has been involved with many groups of women singing and playing music, and so when they decide they want one more woman, they asked her to come with them. Louis is from the different region is from the north and he is like on hour away. We know from the world of folk and traditional music, he is a director of a school for music, so we know him and we needed one more man so he joined the band 5 years ago, he is only 21 years old. He is from the south eats and we know him only over the internet before we met in person, because he is active mainly int eh traditional practise of music, so he. They go to play in the street, so he spend a couple nights in this world, so we wanted to bring someone here, because he sings and he know this music directly from his family, especially his grandfather is his inspiration but also his mother is dancer, and she dances wonderfully so when we had this cache to come to womad to play here on the bbc3 stage, we thought about bringing a guest artists to show what he can do, the music he knows can join perfectly with Viguela, because it continues in a style of music that is like a language. Viguela: This is a very interesting questions, because the question of rhythm is quite intriguing, beaus elf you put up a clap you always say this is awful, because you can't play this music with a clap, because the procession of ‘compas’ you have these music sheets with the lines, so they say this is a 3/4 compas rythm, this is a 2/4 4/4 that concession in this music doesn’t have place, this a totally different way of making music, I mean you can't record this with a clap because you make the drums then you have to make the bass… no, you have to play together of corse to make a records with this, you can add voices after that perhaps, but everyone has to be together because the rhythms is moving al the time, you can’t really touch the rhythm in the modern conception of music. SD: How did you all start learning your instruments, was it passed down from your family? I assume from what you just explained that it wasn’t a western ‘sitting down’ and reading scripture technique? Viguela: Mainly we learned from our families, but also from the social environment, Antonio and Carmen; their father was a professional drummer, he was in band that play for you in the villages, but their grandmothers used to sing, not professionally, but they are singing with people all the time, so they picked p this excuse they have grown, in the rural village with 2000 people, so it’s notary big, and maybe like a little not well communicated with each other, there is no train, and only one bus to the city, so they have guessed some music in their village. Habe, he is only young, 20/21 years old. So he has all the possibilities to be interested int his music because all his grandfathers died, but his family in general they are very musical and dancing and playing. SD: Do you have a good fan bass at home? Where have your most enjoyable performances been? SD: What was the small guitar you were playing? SD: any follow up gigs? In a beautiful atmosphere Vigüela came out roaring a stunning Spanish tune from their homelands. The guitars and the vocals caught the attention of the audience, who gathered to listen to the traditional music. For me the vocals are truly the aspect that stands out in this beautiful music, almost Arabic with it’s tonality, I love how they interact singing together.